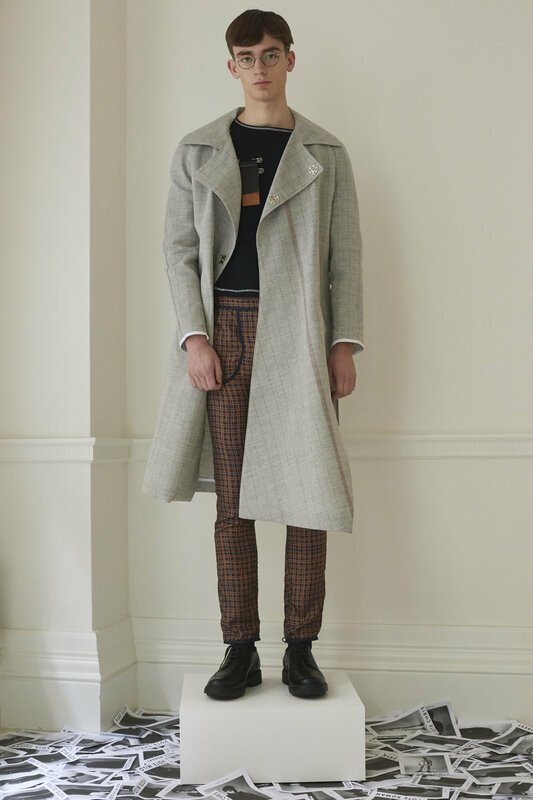 At first glance, DANIEL w. FLETCHER’s Autumn/Winter 2017 collection may not inspire an air of protest, which was cited as a source of inspiration this season. Look closer. One of Fletcher’s great strengths is his ability to create garments with subtlety, and in this collection the fabrics and their tailoring speak loudly of reconstruction. 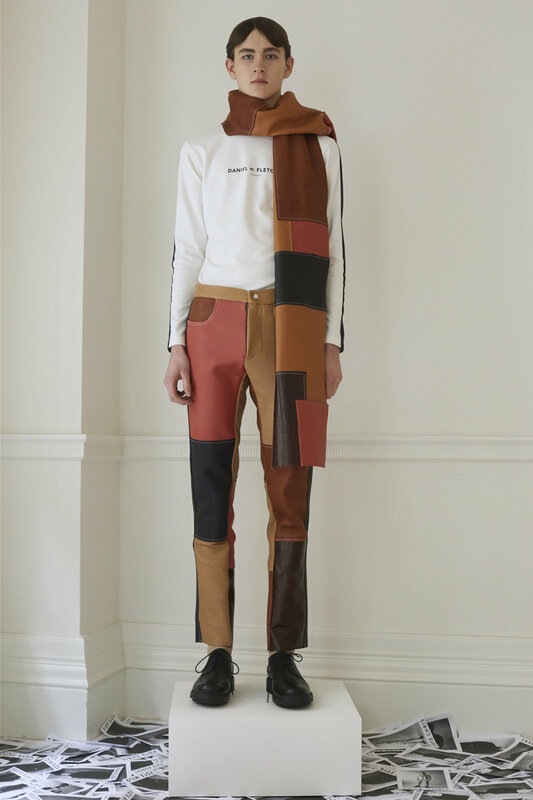 Fletcher communicates this restorative process through patchwork pieces made from luxurious fabrics that convey an ease akin to some of Celine’s most enviable pieces. Also introduced in this collection was Fletcher’s take on the recent return to logos, shown on nothing less than a shearling netball vest. 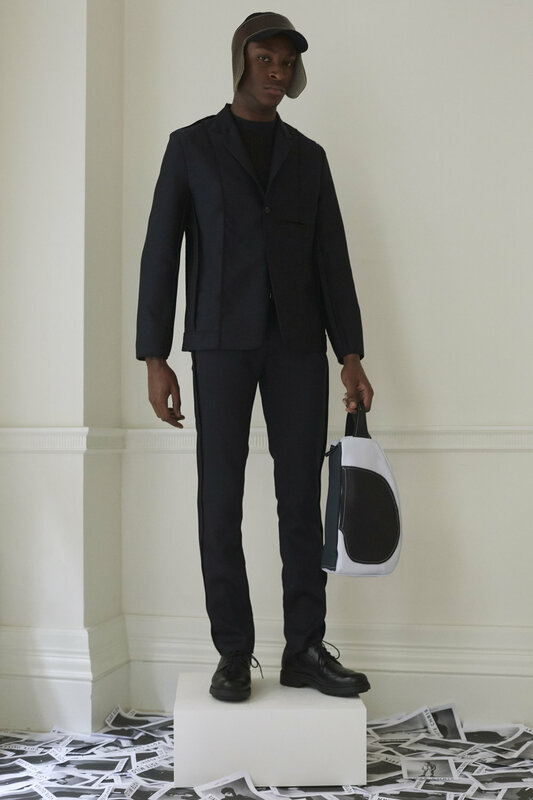 Suit jackets and trousers were turned inside-out to reveal the binding that holds them all together, and were topped off with caps enforced with leather to create a charmingly militant product. The silhouettes and palette of the collection (Rich earth tones paired with black and navy) garnered inspiration from today’s most fashionable decade: the 70s. However, Fletcher isn’t merely calling upon the 70s for fashion, but also for its spirit to rise up and act; and after the hopelessness that 2016 inspired in many, I’m certainly happy to have a designer focused both on the possibility of positive change, and the importance of looking good while doing it.